Participating in Brain Awareness Week is important because kids who understand their brain are more likely to take care of it and GROW it. I learned in BrainSMART that our brains are exciting and changeable...the more we know, the more we can learn! 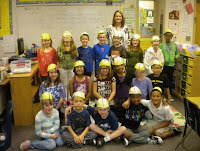 My class enjoyed Brain Awareness Week! I downloaded the free Mindboggling Workbook from The Dana Foundation as the springboard for our daily activities. The first day I read How Does Your Brain Work? (Rookie Read-About Health) to go along with the introduction in the workbook. I found on Amazon: Learning Resources Cross Section Human Brain Model It feels a bit like a nerf football! (The picture is a bit misleading because the outside of the brain is grey instead of the yellow pictured. The next day students learned about the two brain hemispheres and how they are different. One resource we used on this day (and for the rest of the week) was an engaging book called Young Genius: Brains . I highly recommend this! I read a few pages each day that went along with what we were doing in the Mindboggling Workbook. We read about Helen Keller. The kids were amazed by her accomplishments! They learned how the brain can sharpen other senses (like sound) when another sense is damaged (like sight). 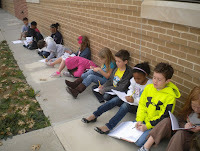 We went outside, closed our eyes, and focused on just listening. Students also listened to how the sound of their voice changed the closer they got to a wall. This was to understand how a blind person can use sound to know where things are around them. We tasted jelly beans without our sense of sight and smell, and then again WITH our senses of sight and smell. That was a yummy experiment! 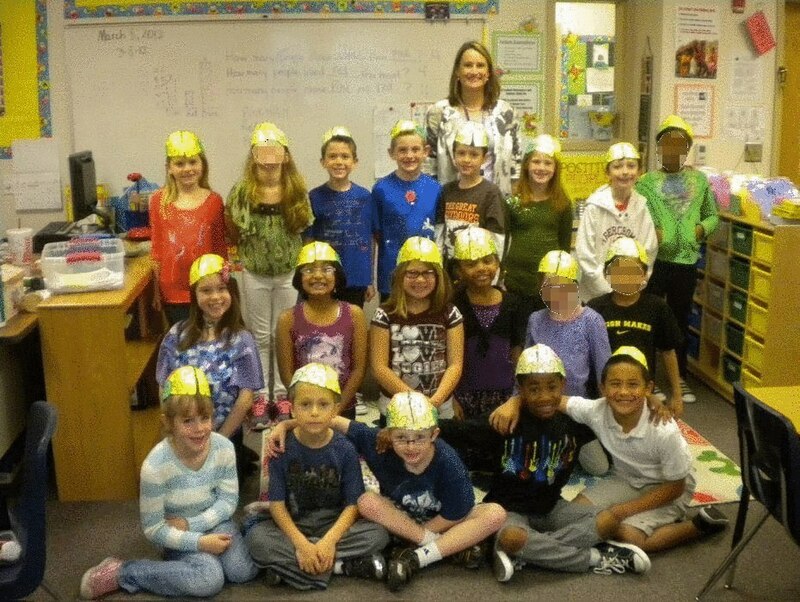 Students created brain hats. I found this activity on Ellen McHenry's website. These hats are fantastic because they show the two hemispheres and four lobes of the brain, as well as the different functions that take place in each area. You can download your own patterns on Ellen's website! Thankfully I tried making one myself first, because I quickly realized I would need some helpers. My helpers consisted of a group of students who had decided to stay in the classroom to play during recess one day. They made their own brain hats in a small group with me, which left them available to help other students during the whole-class activity. They quickly became known as the "Brain Trust". I was very thankful for my helpers. The students LOVED LOVED LOVED these hats! Students learned that the brain can be trained. It is changeable. Everyone can learn, and we can all become better at whatever we want. New learning creates new pathways in the brain, and practice reinforces those pathways. It's a fact! We can make ourselves smarter! This can be a life changing revelation for students who don't think they are smart. The Mindboggling Workbook had some fun optical illusions that fascinated the kids. They were surprised to learn that the brain can be fooled! Throughout the week we talked about taking care of our body brain system. The kids learned that what we put in our body, and how we treat our body, also impacts our brain...it's all connected. We talked about the importance of healthy eating and exercise, wearing safety helmets, learning, and minimizing our television and video game input. Students were surprised to learn that too much time in front of video games and television can shorten their attentions span! I challenged them to budget their electronic time wisely. Big brains ready for Open House! 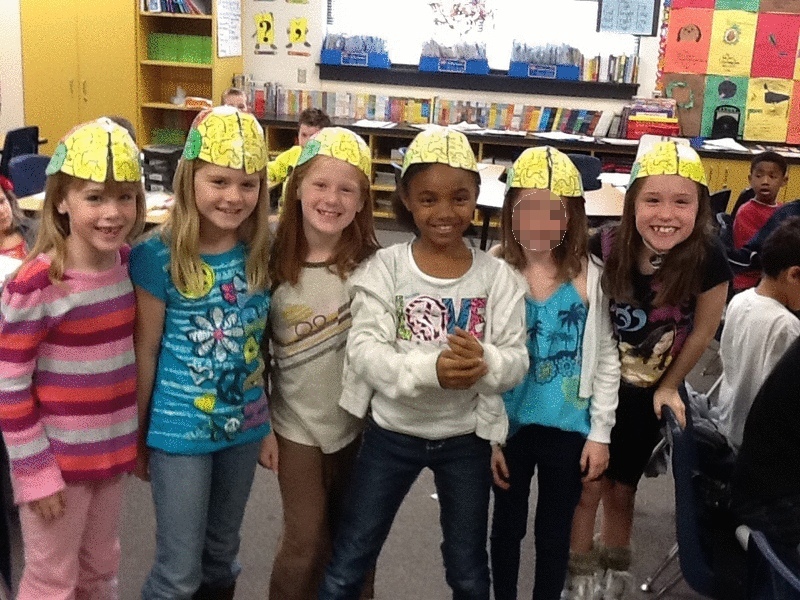 Over Spring Break, students are creating egg helmets! This is to demonstrate the importance of wearing a helmet for protection. When we come back from our vacation, we will have an egg-drop to see how many eggs survive the 10 to 15 foot drop. We will be imagining our brains as the eggs! The school was fabulous about letting students share a brain fact every morning on announcements. On the third day, a student from another grade level came in to share a brain fact of her own! It was exciting to see that other grade levels were becoming aware of their brains as well. I think that sums it all up rather nicely, don't you?! What a fun week of learning about the brain! I appreciate the thoughtful way you have structured the learning experiences for Brain Awareness Week into lessons about the various important knowledge about the amazing human brain. Thank you and your students for sharing your classroom experiences! I'm a huge fan of mind games applications and most of what's in my iPhone is all about mind games. I want to be in your class!! WOW! I Turned My Projector into a Smartboard Today!